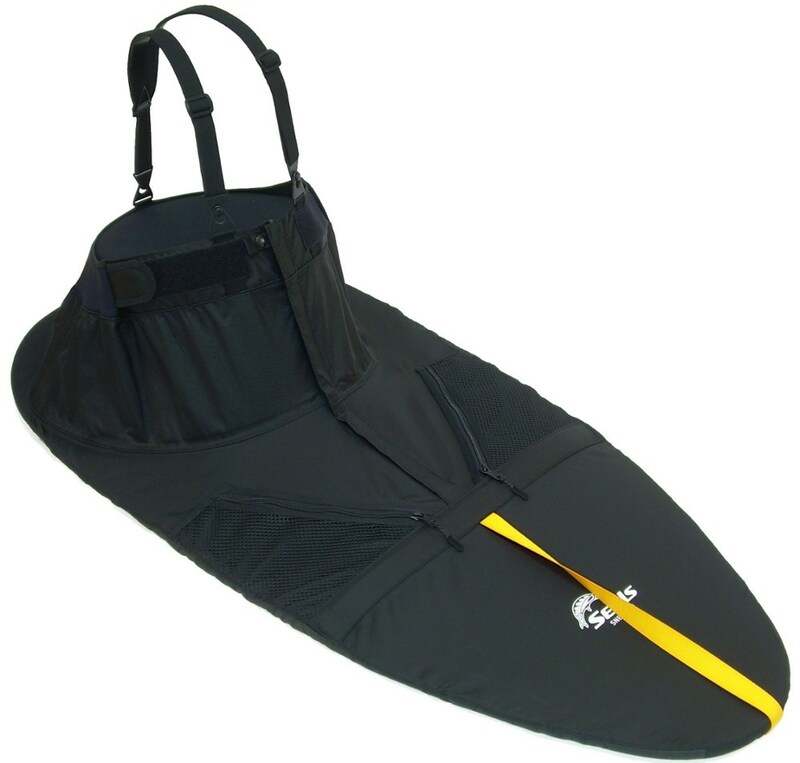 Seals Sprayskirts Tandem Kayak Spray Skirt - Make both you and your partner drier and happier. 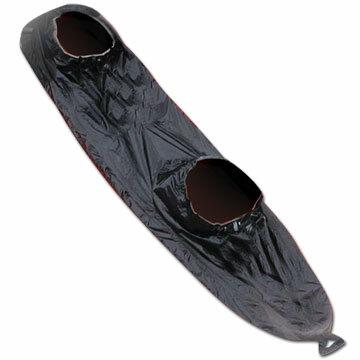 This high-quality tandem kayak skirt is constructed of medium-weight nylon pack cloth, with double-stitched and taped seams to ensure a watertight fit. 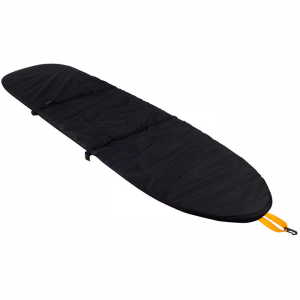 It is coated with waterproof polyurethane and has adjustable drawstring waistbands to accommodate a wide range of paddlers. A strong bungee grip system secures the skirt securely around the cockpit, while a front grab loop makes removing the skirt simple and easy. Reflective piping makes for greater visibility and safety in low-light conditions. Why be wet and uncomfortable when you don't have to? A basic nylon kayak sprayskirt specially made for tandem kayaks and intended to provide a water-resistant covering of the cockpit. 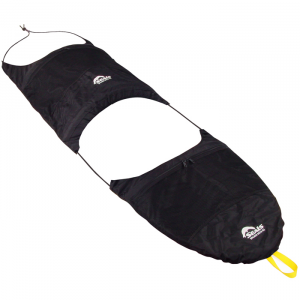 Although not suitable for paddling in breaking waves, the Seals Tandem Sprayskirt is the correct choice for most weather conditions encountered by the casual day touring or recreational paddler. Fashioned from water-resistant nylon packcloth.This product will be shipped directly from Seals and will leave their warehouse in 2-3 business days. 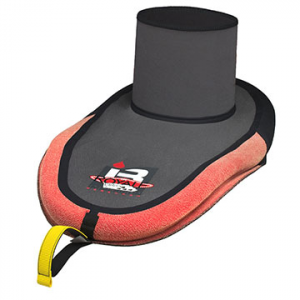 Eligible for UPS ground shipping only.Click here to find your Seals size.. . . . Made of medium-weight coated nylon packcloth with double-stitched and sealed seams. Stitched 5/16" bungee attachment secures the skirt to the rim of the cockpit. Adjustable waistband ensures paddler comfort and a secure fitAll Seals sprayskirts and accessories are cut and sewn in the USA. Paddling conditions rating: light. All Seals sprayskirts and accessories are cut and sewn in the USA. Custom sizes and colors may be available. Please call customer service at 1-888-463-6367 to learn more about a special order. 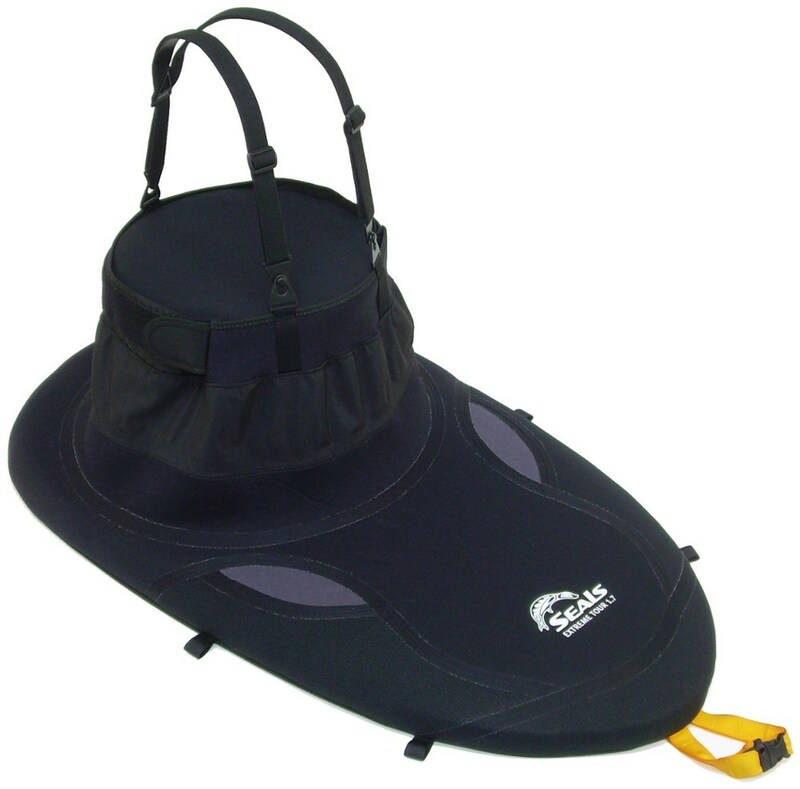 Additional charges may apply..
Stay drier and more comfortable on paddling trips for two. This tandem spray skirt protects both of you from water and sun exposure. The Seals Tandem Sprayskirt is not available from the stores we monitor. It was last seen November 9, 2018	at Outdoorplay.